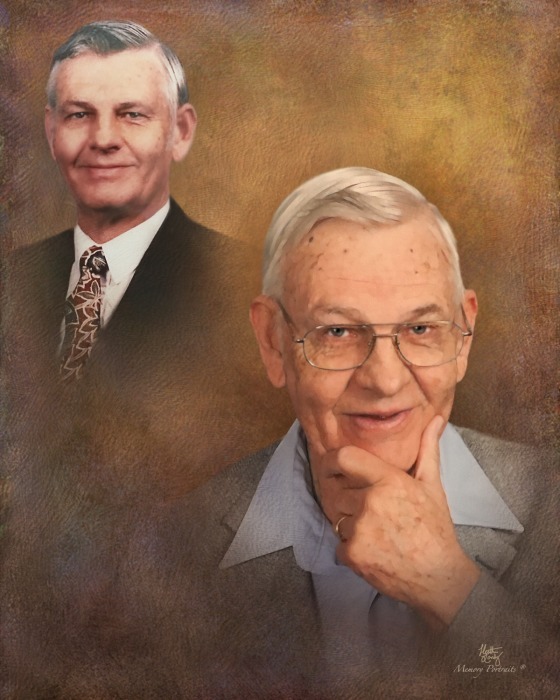 Obituary for Ralph Jeffrey Kimble | Rushing-Estes-Knowles Mortuary, Inc. He was born on June 17, 1937 in Carrizo Springs, Texas. He was the firstborn son of five children, all boys, born to Paul Morton and Gussie (Jeffrey) Kimble. Eight years later, his family moved to Uvalde where his father Dr. Paul Kimble was a chiropractor. The family attended First Baptist Church where he grew as a young man. He graduated from Uvalde High School in 1955 and soon enrolled in Texas Chiropractic College. Shortly after graduation from this college in 1961, he served for two years in the U. S. Army and was stationed in Korea. On July 2, 1966 he married well above himself by exchanging vows of love and commitment spanning 53 years with Bertha Chapoy. Together, they have shared in the Christian faith and ministry by their service with various churches in this region. Ralph was a deacon in each church where they served. He also sang tenor as a member of church choirs and Bertha was often the church pianist. Still, the simplicity with which Ralph Kimble met and knew people was what made him special. Loving others was his highest calling. Ralph was a man of clear, simple and honest faith! Ralph was not a respecter of people; he loved and respected all! He was no respecter of position; he held everyone in high regard and looked down on no one. A humble servant of others, he was. Ralph practiced as a Chiropractor in Uvalde from 1966 until the early 1990s. He also worked at Dickies clothing and UCISD in the service departments beginning in the 1970s, but remained bi-vocational as a Chiropractor throughout those years. Ralph is survived by his wife of 52 years of Uvalde; son, Paul Kimble and wife, Allison of Uvalde; brothers, William Kimble of San Antonio and Roy Kimble and wife, Cheryl of Cedar Park; sister-in-law Marty Kimble; sister-in-law Frances Perez; numerous nieces and nephews; grandchildren, Bethany Rankin and husband, Clay of Woodlands and Brian Kimble of College Station; and great grandson, Stephen Connor Rankin. He is preceded in death by his parents; and brothers, Charlie Kimble and Ken Kimble. A funeral service will be held on Thursday, March 28, 2019 at 2:00 p.m. at First Baptist Church in Uvalde. Interment will follow at Hillcrest Cemetery.